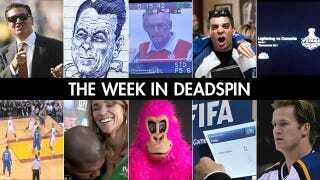 A selection of stories from the week we were seriously not confident. FIFA Foibles | We watched Sepp Blatter coast to reelection this week. Like other landslide-winning despots before him, Blatter retained the services of Henry Kissinger. And only now is Chile investigating a long-ago suspicious death that Kissinger might know something about.